I'm loving skater style clothing at the moment, i found these little gems the other day when i was having a daily browse on eBay. I love my skater dress and it's safe to say i love these just as much! They'll be perfect for winter when you want to add a splash of colour to your outfit! What colour do you like? Will you be purchasing any? I love these - you find such great stuff on eBay! Oh I love these! so simple. I'm loving the darker blue one, and also finding myself drawn to the orange one for some reason - so not me! Total bargains too! you are an ebay genius! Im so rubbish at finding things, it's definitely a talent! 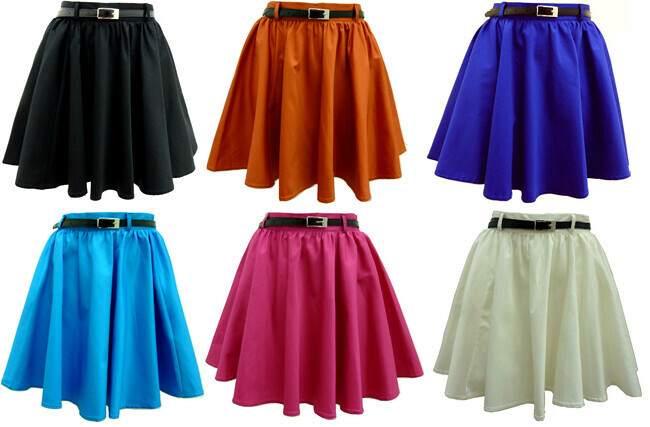 oh i love these, they come in such gorgeous colours too! I gave you a little mention on my blog yesterday in reference to ebay. LOVE these! I want one in every colour! !